India is one of the vastest nations on earth. Home to nearly a quarter of the world’s population, and 10% of the world’s animal kingdom, the incredible natural beauty of this country shines through at every turn, making it one of the most vibrant and awe-inspiring places you could ever visit. 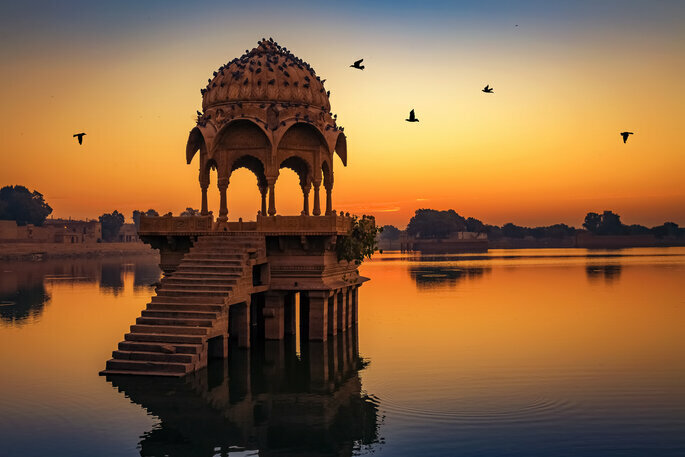 And we promise you now that if you choose India for your first trip as newlyweds, it will be a honeymoon that you will never forget – a totally unique journey, the likes of which you will never experience again. However, due to the size of the country (there are 29 separate states!) – and the frankly innumerable places that you can travel to there – do not take this article as gospel for the entirety of your trip: we’re going to give you recommendations for our favorite places, foods, and experiences, but you should also do your own research. Travelling to India is not the same as travelling to Vienna or Greece! India has a population of nearly 1.34 billion (yes, billion, you read that correctly), and so there is a huge amount of diversity with regard to culture, language and tradition. There are an incredible 11 official languages – from Bengali to Sanskrit – but fortunately for travellers from the United States, English is one of them, though it is only spoken by around 125 million people in the country. Communication is usually no barrier to visitors however – as the 10 million people who visited in 2018 demonstrated! Before being colonized and oppressed by British imperial rule in the 19th and 20th centuries, India was the spiritual home of Southeast Asia, and reamins to this day an important place for religion and philosophy. You will discover this quickly upon your arrival – surrounded by places of worship, you will surely begin to feel a connection to something much bigger than yourself. And though India has its troubles like many countries formerly under British control, it is incredibly tolerant to all religions and to secular people. 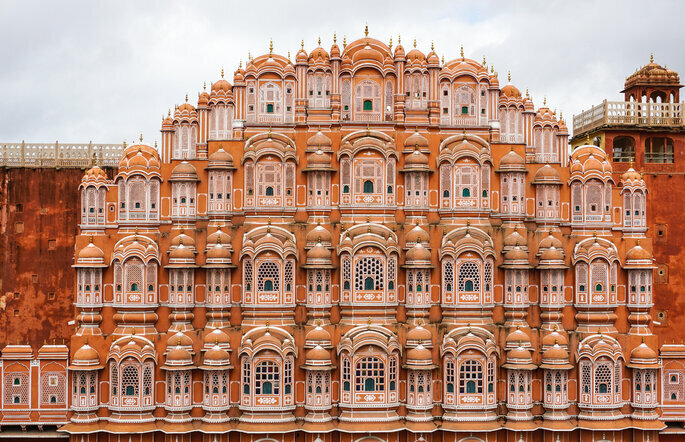 The currency in India is the rupee, and has one of the more distinctive exchange rates – 1 dollar is roughly equal to 72 rupees, so don’t panic when you get a bill for 50,000 rupees for your hotel! 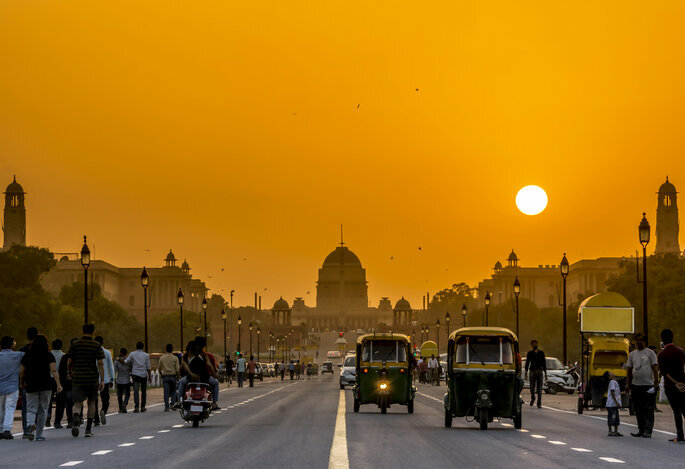 However, you will find that most places in India are incredibly cheap, from the food to entrance to monuments to religious trinkets you may want to bring home with you. Transport is also very low in cost, so if you want to explore one of the most romantic places in the world, then now is your chance to do it without spending your life savings! Generally, be polite, but hold your ground – queueing is a Western thing, so don’t expect it here! And most of all, use your common sense when out and about! 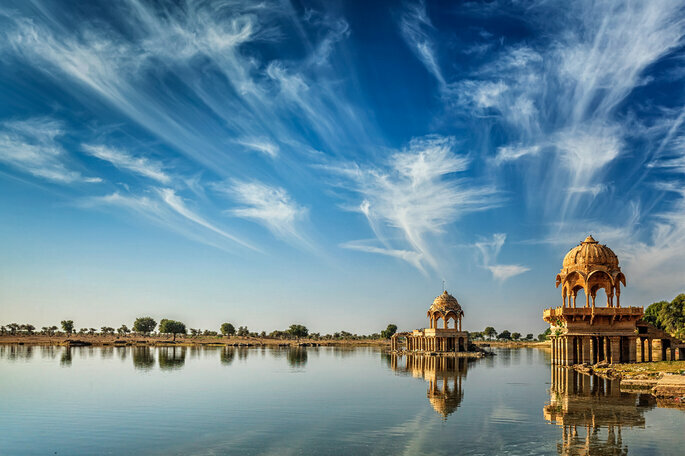 India is the perfect place for an extended honeymoon – travelling there for a week will be totally insufficient in letting you explore its most incredible corners, so make sure you book for at least two weeks – and a month if you can swing it! 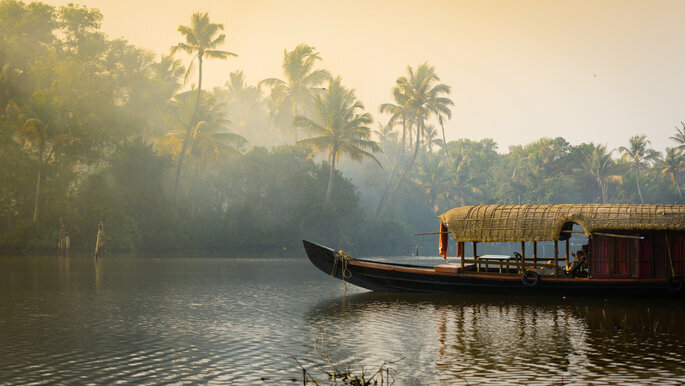 It is a huge country, and so we can only offer you a snapshot of what is on offer, so take a look at our pick of some of the most beautiful regions of India and get inspired to see them for yourselves in real life! 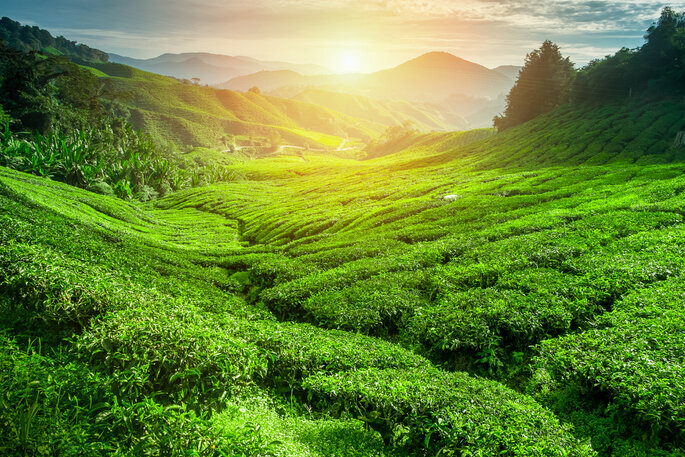 The tea capital of India, approximately 51% of all tea leaves and products emanate from this Northeastern province; you can go on an incredible variety of tasting tours, and walk the tea plantations as part of a tour. The perfect place to explore the great outdoors! And this fascination with nature continues in its conservation efforts – Assam has single-handedly saved the Indian rhinoceros from near extinction, and is home to many dwindling creatures such as water buffalo, the pygmy hog, and most excitingly – tigers! Indeed, Assam encompasses two of India’s greatest National Parks – Kaziranga and Manas, so get your binoculars and walking boots at the ready! Goa is a coastal state on the west of India, and so is perfect if you’re looking to relax by the beach for a couple of days on your honeymoon! With some spectacular features, including the Dudhsagar Falls and the Basilica of Bom Jesus, Goa is replete with things to do and see. 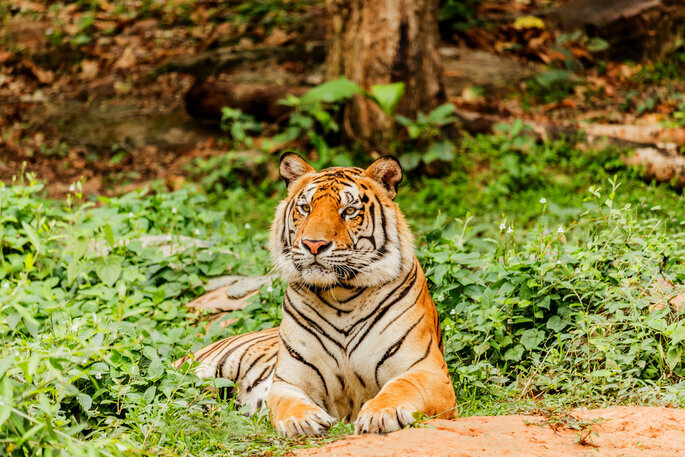 And as with the majority of Indian provinces and states, there are also plenty of wildlife sanctuaries where you see some really beautiful animals – including some amazing elephant sanctuaries where you interact up close! Famously featuring in one of the best Led Zeppelin songs of all time, Kashmir is often ruled out as a place to visit by foreigners due to the frequent civil unrest (you can read more about why this is happening here). However, it is also one of the safest places in India for tourists, who are often given extra protection by residents and security forces alike. It is completely unmissable. 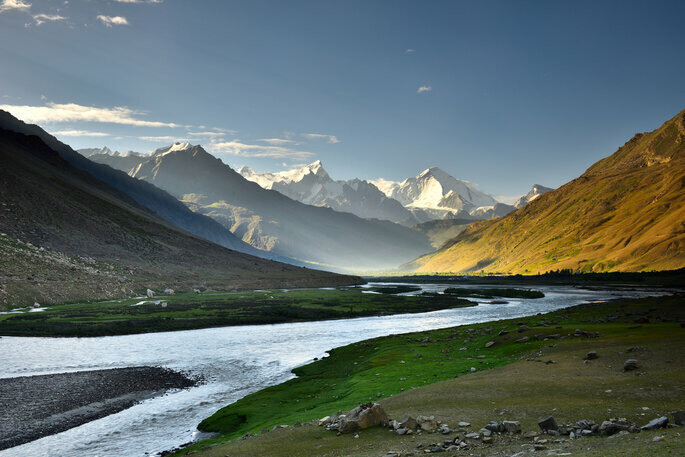 Because of its location in the north of India, Kashmir has some of the most incredible mountain ranges, which are absolutely breath-taking to see (and also to climb too!). The Ladakh region is particularly beautiful, located alongside the Siaschen glacier – meaning that it can sometimes get a little chilly, so pack a coat! Srinagar is another gorgeous region which truly emphasises the beauty of India’s natural state. A rural district in the Southwest of India, Coorg is somewhere you can really take some time out and do things at your own pace. Away from the busy streets and tourist attractions (which are worth seeing, but can be exhausting! 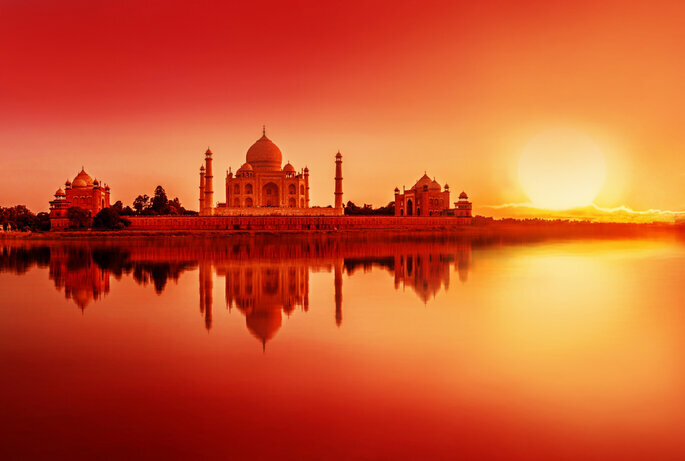 ), here you can enjoy India for what it is – vast rolling hills, wild-roaming animals, and the most gorgeous sunsets. You may have a tricker time here with regard to language, but it is surely worth it for the splendour. Make sure to head up to Raja’s Seat whilst here; this park has one of the best views in the country! 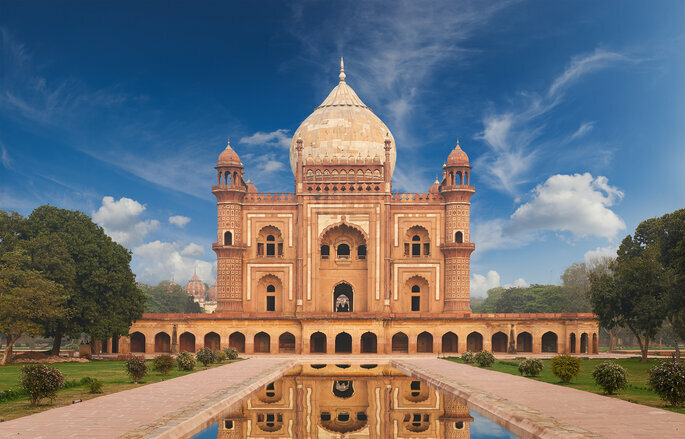 New Delhi – the Indian capital – is home to a huge amount of tourist attractions, including the infamous Taj Mahal, built by Shah Jahan to demonstrate to the woman he loved just how much she meant to him (men, expect a lot of comments from your new wives about this!). 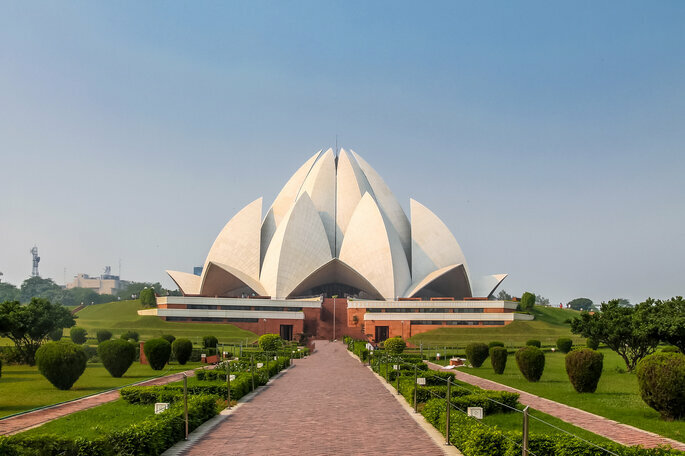 However, aside from the Taj, you should definitely check out Humayun’s Tomb and the Lotus Temple. The latter is a holy site where you have to remove your shoes, but there are some beautiful botanical gardens within to check out. 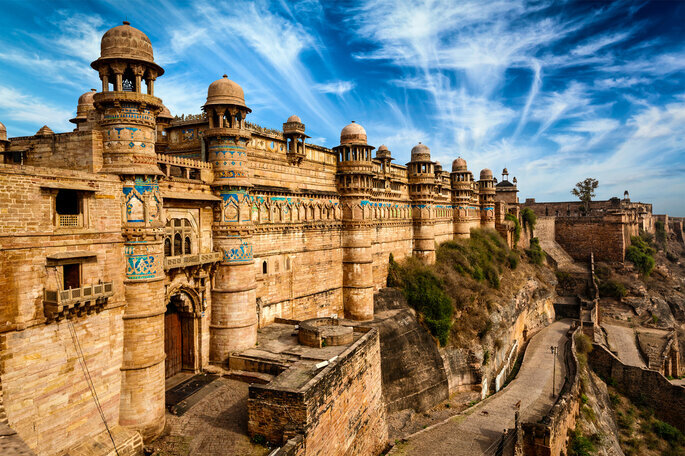 In the central state of Madhya Pradesh you will find the city of Gwalior. Rich in palaces and temples alike, the most special of all is the Sas Bahu Ka Mandir – an intricately carved Hindu temple, which is perfect for photos! Though the country is divided between Hindus and Muslims, you will find that most monuments are dedicated towards the former’s faith. Okay, so animals might not be monuments – but they are up there in importance with the Taj Mahal. There are so many species that you can only find in India, and which will genuinely change your lives to see in real life. These include the Bengal Tiger, the Asiatic Lion, and the Snow Leopard! Wherever you go in the country you will undoubtedly find a sanctuary, a zoo or some form of wildlife park to visit – the Indian people are incredibly respectful of nature and what it produces, and so this is one of the greatest places on earth for animal lovers! Indian cuisine is very popular in the Western world, but the version that we have is vastly different from its reality and origins. 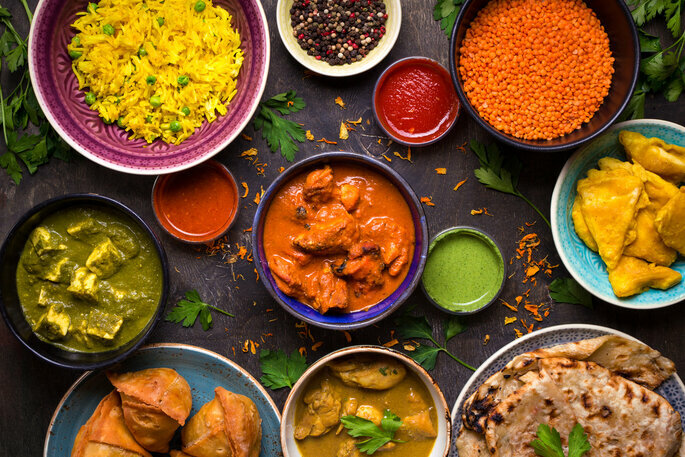 Be prepared for a sensory sensation whilst on your honeymoon in India – you’ll experience tastes and flavor combinations that you have never even dreamed of! Rich in white meats and vegetables, Indian cuisine is simply divine. You won’t be able to find beef due to the majority Hindu population’s belief that cows are sacred – so don’t land yourself in hot water and try and order steak! Because India is so huge, there is extreme variation in the food that you can try and the way in which it is presented. 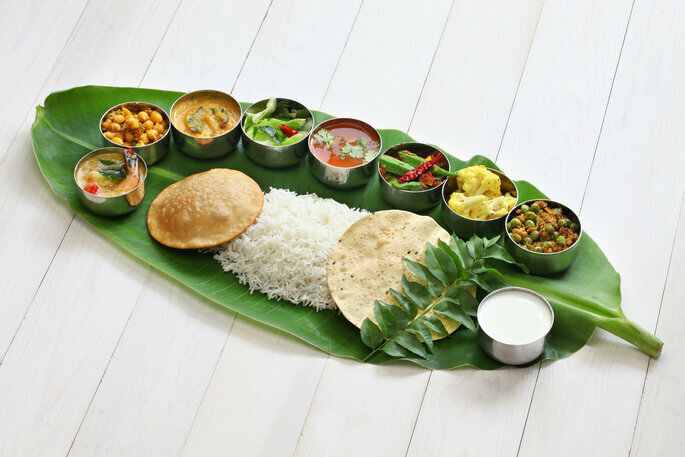 The above is an image of a traditional South Indian meal, served on a banana leaf – you wouldn’t find the same thing in the North! However, unmissable dishes for your exotic honeymoon include: bhapa ilish (a fish curry), carrot halwa, chana dal (lental curry) and an original chicken tandoori curry. Many Indians follow a vegetarian lifestyle, but because of their love for cooking and those rich spices, you won’t be missing out on taste with a veggie meal here! India is truly indescribable. A huge land mass, inhabited by over one billion people, you can only really get a true feeling about it from going there for yourself. And you definitely should! Whilst plane tickets come in at a high price, a well-organized budget will see you have the time of your life on your honeymoon. Explore, learn and discover one of the greatest places on earth in 2019!